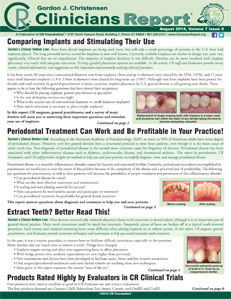 Periodontal Treatment Can Work and Be Profitable in Your Practice! Extract Teeth? Better Read This! Addendum 2: Extract Teeth? Better Read This!